There are several kinds of ticks in Nova Scotia, but only the blacklegged tick carries the bacteria and virus that cause tick borne diseases, such as Lyme disease. Left to right: Female black legged tick, groundhog tick, dog tick. Top to bottom: engorged female dog tick, engorged female black legged tick. Ticks like moist and humid environments and can be found in or near woods, shrubs, leaf litter, long grass, urban parks and gardens. They are very small, which makes them hard to spot and their bites don’t hurt, which makes it difficult to know when you’ve been bitten. Tick-borne illnesses are preventable by taking some simple precautions. If you have pets that spend time outside, make tick-checks part of your daily routine. Dogs can’t transmit tick-borne illnesses to people, but ticks are hitchhikers. They can enter your home on your pet and move to you or another family member. Once the tick is removed, clean the area of the bite with soap and water or alcohol hand sanitizer. Make a note of the date and where on the body the bite occurred. This will be important if you, or a loved one, begin to feel unwell. Once removed, flush the tick down toilet, drown in rubbing alcohol or freeze in a plastic sealed bag prior to putting in the garbage. Avoid crushing ticks with exposed fingers. The Government of Canada provides information on how to submit a tick for identification and testing. Only the blacklegged tick can transmit Lyme disease, and in most cases, a tick carrying the bacteria that can cause Lyme disease must attach and feed for at least 24 hours before the bacteria can be transmitted. Lyme disease is treatable with a short course of antibiotics. 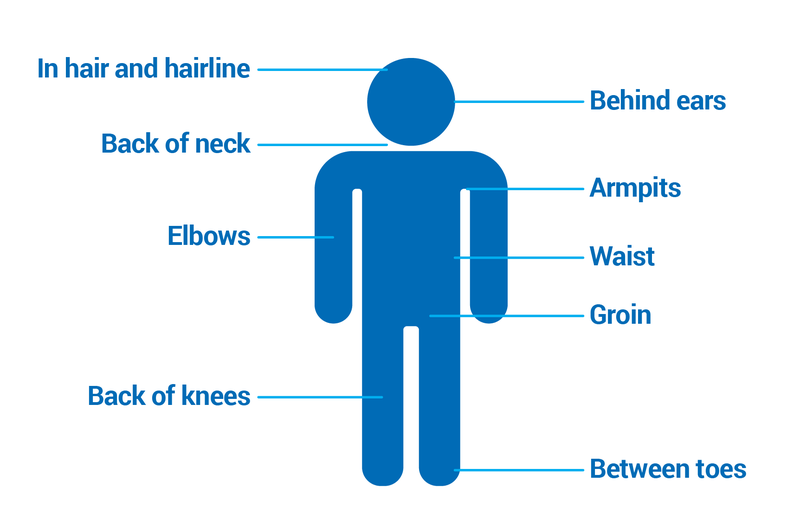 These symptoms may appear in stages, or over time.If you’ve been exploring outdoors, especially in wooded areas, forests, areas where long grasses and/or shrubs are present, or have found a tick on your body, and show these symptoms, see a healthcare provider.